Already headlining the festival, Stormzy has joined forces with Snowbombing to curate two huge nights of music at The World’s Greatest Show On Snow. The #MerkyTakeover is set to bring a standout set of artists, such as Birmingham’s Fredo, garage favourites Kurupt FM and more to Mayrhofen in Austria. The star-studded array of friends and collaborators will also see Stormzy bring Jayke, Shy FX, Rachel Anson, DJ Tiiny, Mostak, D Block Europe and more to the Austrian slopes. With a Glastonbury headline on the horizon for Stormzy, and a wild 2019 to boot, this will be his first live appearance of the year – and its set to be an unmissable one. 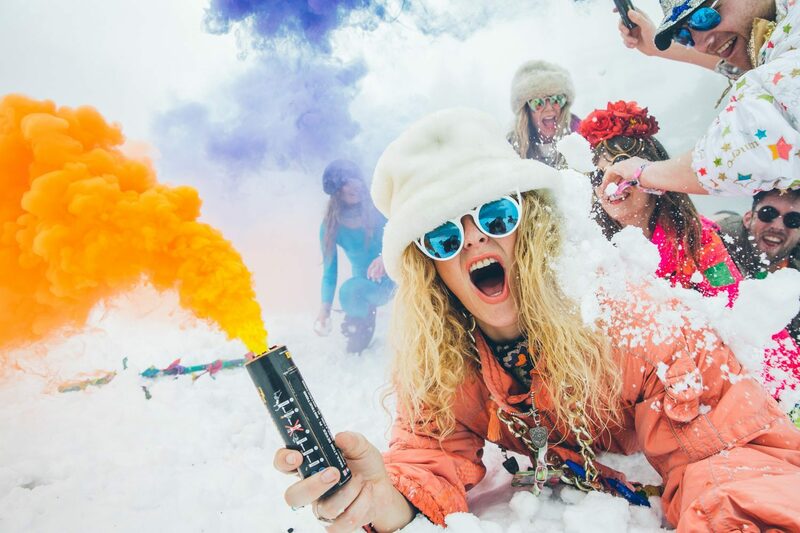 This year’s Snowbombing sees the festival return for its 20th anniversary – and what a party it’ll be. With huge headline sets lead by The Prodigy, Stormzy and Fatboy Slim, the festival also sees Andy C, Bicep (DJ), Groove Armada (DJ), Hannah Wants, Denis Sulta, Monki, Camelphat, Hunee, Artwork, Skream, Eats Everything, George FitzGerald, Maribou State (DJ), Solardo, Sub Focus, High Contrast, Mall Grab and fun-soaked moments from Sink The Pink, The Cuban Brothers, Mr Motivator, Pat Sharp’s Fun Haus and so much more. And it doesn’t just end at the music, with spas, saunas, yoga, mountains – and of course – paragliding (yes, you read that right), Snowbombing truly is the world’s greatest show on snow, so don’t miss out! With the last rounds of tickets and hotels left, starting at £269 – now’s your chance not to miss out. For more info, a full lineup and everything else head over to the Snowbombing website.